Juventus have confirmed that Sami Khedira can now resume full training once more after passing all mandatory tests due to his cardiac problem. The German midfielder was diagnosed with a cardiac irregularity and had to undergo heart surgery on February 20. But Khedira has since had a successful heart test and will be available for training at Juventus on March 26 as manager Massimiliano Allegri has given those not selected by their national teams a week off to get some well-needed rest for the final part of this season. “Sami Khedira, who underwent an electrophysiological study and an ablation of his atrial arrhythmogenic system on February 20th, has passed cardiology tests and can resume normal and intense sporting activity,” read a statement on the club website. Khedira joined Juventus in the summer of 2014 on a free transfer from Real Madrid and has since gone on to register 21 goals along with 14 assists in 125 appearances across all competitions. Despite being strongly linked with a transfer to Paris Saint-Germain last summer, Khedira signed a new two-year contract at Juventus in September with the option to extend it by another 12 months. Therefore, the 31-year-old remains an essential part of Allegri’s team and won domestic doubles in his first three seasons at Turin. 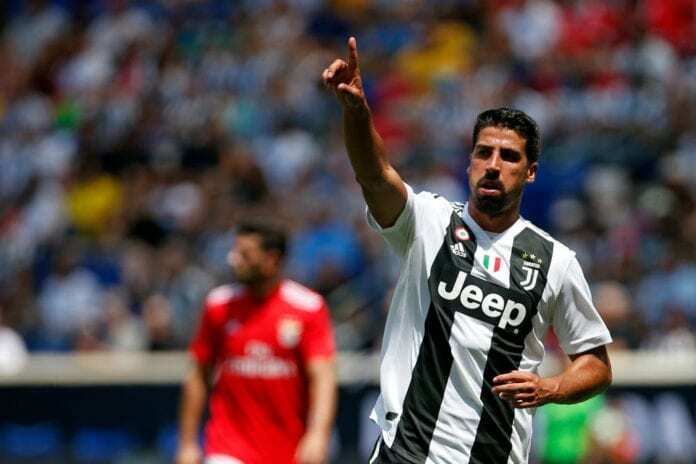 Now Khedira will have his sights set on playing his part in securing a fourth Serie A title with Juventus, who currently sit 15 points at the top of the standings from second-place Napoli. The Bianconeri suffered their first league defeat of the season last weekend to Genoa, but Allegri downplayed the significance of the result. “This loss can only do us good, we have to have at least 5 more victories hoping that Napoli lose more points,” he said. Juventus will next be back in action at home to Empoli in Turin in a Serie A match on March 30. Previous articleQuiz: How deep is your knowledge about Paul Scholes?